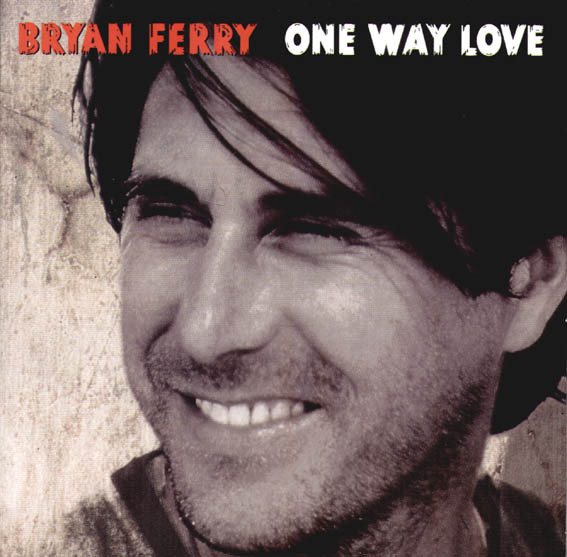 Lyrics to the song One Way Love as recorded by Bryan Ferry. One Way Love was recorded during the unreleased 'Alphaville' sessions and this version finally made it onto 'Frantic'. A one track 'Promo' was also released of One Way Love to promote the album in Europe. The song has been given full commercial release as a single in Germany on 8th July 2002 with the tracks Mother Of Pearl (Horoscope Sessions) & Crazy Love. Bryan did some promotion for the single on French TV. The song was performed live at the Amsterdam show 9th September 2002 during the Frantic tour. One Way Love: This one was written by Bert Berns and Jerry Ragavoy and was first recorded by The Drifters (with Johnny Moore singing lead). They recorded the song in December 1963 under the production of Bert Berns and it was released on Atlantic Records in April 1964. Cliff Bennett & The Rebel Rousers made a cover of it in 1966. This is the second time Ferry has chosen a song from the Berns/Ragavoy songbook, he did that in 1973 we he recorded Erma Franklin's Piece Of My Heart for "These Foolish Things"